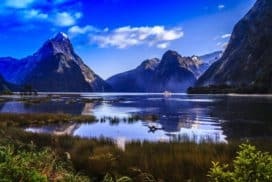 Travel New Zealand with Go To New Zealand - Free Travel to New Zealand Advice - Travel in New Zealand and Receive Discounts! Discover New Zealand Travel Packages & Tours! We are your our one-stop information centre on travel, study, training and work opportunities in New Zealand. Our New Zealand team'll help you with free services, career advice and student counselling. Increasing numbers of international students are choosing New Zealand as their study and work destination. 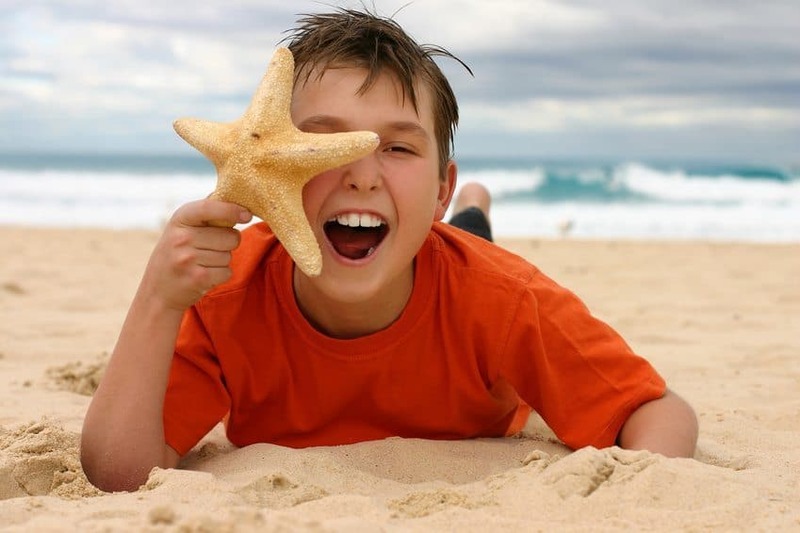 Beginning a life in New Zealand - Settlement information in English and other languages for newly-arrived students and settlement information for working holiday makers, Au Pairs and interns. Basic facts about New Zealand - Information on New Zealand, its history, government, law and social system. Learning English - English Programs - learning English and about New Zealand. Translating & interpreting service - Interpreting service to help students communicate with English speakers. 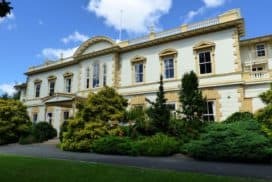 Work & business - How and where to find work. Recognition of qualifications. Starting a business. Taxation and social security. Health - How and where to get health care and health insurance. 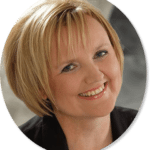 Housing - Finding a home in New Zealand. Renting, buying or building a house. Education - Education at all levels and childcare. Youth - Cool links to what's on and plenty of useful stuff about life, study, entertainment and sporting activities. Information for service providers and agencies - Partner Programs. Potential students - Information for potential and newly-arrived students and their family. Help for migrants - Agencies and organisations which can assist migrants and their sponsors. New Zealand is an independent sovereign state in the south-western Pacific Ocean. The country consists of two major islands and a number of smaller islands. A popular Maori name for New Zealand is Aotearoa, often translated as The Land of the Long White Cloud. New Zealand is a parliamentary democracy and a Commonwealth Realm. New Zealand is responsible for the self-governing states of the Cook Islands and Niue and administers Tokelau and the Ross Dependency. Our Zealand Travel Agency welcomes travellers who want to travel to interesting spots in New Zealand for free advice and tips. 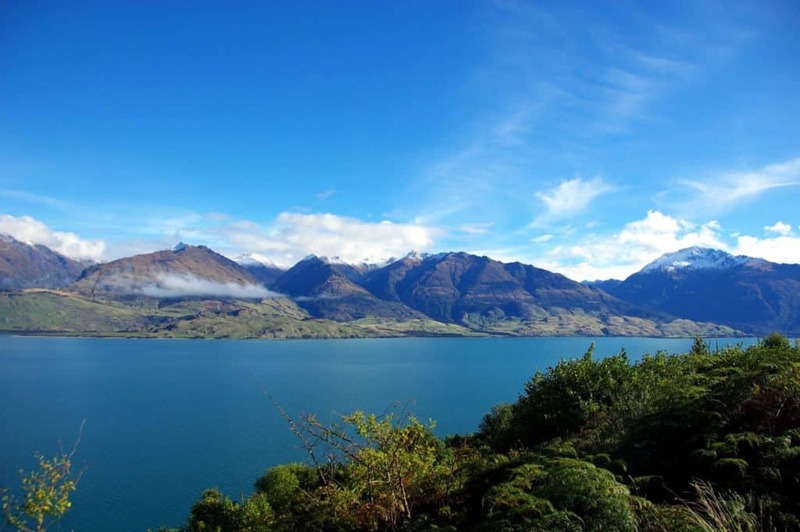 It is an online New Zealand travel guide for all international travellers. Photography, writing, and travelling tips – such as unveiling a travel blog, photo album, etc. Write to us if you want information on affordable accommodation in New Zealand, short English learning courses, part-time job options, or all about New Zealand culture, cities, and natural habitat. As with all countries, New Zealand has some very important historical places. Rich in culture, history and always a great story these are some of the places that are a must to visit during your stay in New Zealand. Otago Gold Fields located on the banks of Karawau Gorge, is possibly New Zealands oldest Gold Mining fields. The gold fields where found 140 years ago and are now a symbol of the bygone era. Take a tour and learn about this fascinating time in New Zealands history. Te Maketu was first settled by Maoris in the 1600s untill the 1840s when African and English decided to settle this land. A picturesque place close to Auckland. With magical valleys and different wildlife and flora around each part of the year. A beautiful spot to learn about the history of the settlement times aswell as a look in into Maori culture and history. The New Zealand National War Memorial located in the countries capital of Wellington, is a place of rememberence for all those who fought and died during war. Consisting of a War memorial carillion aswell as a Hall of Memories, dedicated to the New Zealand Armed Forces. Larnach Castle created in 1871 by William Larnach was believed to be built for his wife Eliza. Alot of the castle was developed from imported materials bought all the way from England. Today this Castle is open for tours and full of antiques from this era. These are just a few of the important historical sights waiting for you to explore. All with their own stories to tell, and different sights to see. New Zealand, the Land of the Long White Cloud, is a beautiful place to work, study and live, and AA Education Network would like to help you get there! Go To New Zealand is your one stop information hub for study and work opportunities in New Zealand; if you’re finding that this process is too confusing, allow us to help. Go To New Zealand's aim to make your shift into Kiwi life as easy as possible. 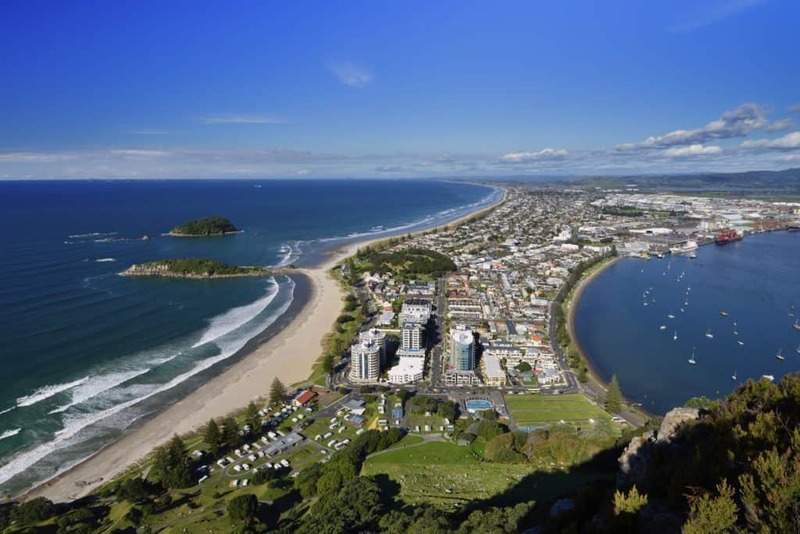 If you’re planning on studying in New Zealand, you will receive assistance with choosing a course of study and the application process, applying for a visa and arranging travel insurance and information on life in New Zealand. Those who wish to work in the country will receive help with finding a job, taxation information, housing and anything else that may be troubling you. Plus, you’ll receive ongoing support before, during and after your stay. And if English is not your native language, we can help with that as well, by providing you with information about language schools, English proficiency tests and translating and interpreting services. But the best thing about this amazing service is that it’s absolutely free. You’ve got nothing to lose, so make an appointment with an AA Education Network team member today. Looking for an exciting new travel experience? Sign up to travel to New Zealand today! New Zealand currency is in New Zealand Dollars (sometimes called the Kiwi Dollar.) All major credit cards are accepted in most establishments, while banks, hotels and some stores will accept a traveller’s cheque. Banks are open from 9am – 4.30pm Monday to Friday. Most airports and hotels are able to exchange foreign currency. Electricity is supplied at 230/240 volts (50 hertz). Electricity outlets require a two or three prong adapter. The Accident Compensation Scheme covers visitors to New Zealand for personal injury caused by accident. This includes some medical and hospital expenses, but does not cover loss of earnings. It also does not cover illness. It is best to organise your own travel insurance before entering the country. Generally, prices quoted will include all taxes. However, if something is listed as GST (Goods and Service Tax) exclusive, you will need to add 12.5%. New Zealand time is GM+12 for most of the year. In summer, New Zealanders practice daylight saving. Residents put their clocks forward one hour on the first Sunday in October, and change them back on the third Sunday of the following March. During this period, New Zealand time is GM+13. Tipping is optional in New Zealand, as staff do not rely on tips for income. For extraordinary service, a tip of 5 – 10% is acceptable. New Zealand is subject to earthquakes. Susceptible cities should have an extensive emergency plan. In the event of an earthquake, always follow the advice of local authorities and experts. Many rivers and lakes are subject to flash flooding after heavy rain. If you are planning on undertaking activities in such an area, be sure to register your details with a Visitor Information Centre, and follow any advice offered by authorities. While tap or faucet water is filtered and safe to drink, any water collected from rivers and lakes should be boiled, filtered or otherwise treated before drinking. Although New Zealand is considered to be one of the safest destinations worldwide, it is still important to follow the same safety precautions as you would at home, or anywhere else. Keep copies of important documents, such as your passport and credit cards, separate from the originals. Travel with a friend, and try to let a third party know where you are doing. At night, stay in well lit areas. If you need a ride, catch a taxicab. Do not accept rides with a stranger. Going to the bars can be fun, but remember to keep an eye on your drink, and try not to accept drinks from anyone you don’t know. Stay in regular contact with family, and friends, in your home country. Carry a mobile phone and, if there is an emergency, call 111 or go to your nearest police station. A nice feature, available in New Zealand, is safety through text messaging. Texting the details of your location and travel information to 7233 (SAFE), will ensure that these details are readily accessible to police, if needed.Another important factor to keeping safe in New Zealand is ensuring that your health is, and remains, in good standing.It is always a good idea to purchase health insurance, when travelling outside your home country, incase of any medical emergencies. Although New Zealand has the Accident Compensation Corporation (ACC), you should still obtain your own health insurance. If, unfortunately, you are in an accident, the ACC will be of assistance, however, it will not cover everything. It is more likely that your trip will be accident free, however, it is always better to be safe than sorry. Additionally, if you are bringing prescription medications with you, be sure to carry a doctor’s certificate. This may be needed when entering the country, and going through customs. If you have to visit a doctor during your stay in New Zealand, it also helps to have a doctor’s certificate, and information, from your doctor in your home country. It is safe to drink the water in New Zealand, however, do not drink water from lakes or ponds. Additionally, if outdoors, remember to wear sun block. Smoking indoors, when in public places, is prohibited in New Zealand; thus, if you are a smoker, be sure to smoke outside. When visiting New Zealand, stay safe and have fun. Navigating New Zealand is easy. As the country is a mere 260 000 square kilometres (or 103 000 square miles), bus and train travel is relatively quick, while a domestic flight takes no longer than three hours. While many cities have their own personally owned transport companies, the following companies are national carriers, meaning they are generally safer and less expensive. Air Air New Zealand is the national airline carrier of New Zealand (and is currently the only airline to circumnavigate the globe.) The airline offers domestic and international flights between most cities. International airports are located in Auckland, Wellington, Christchurch and Queenstown. Bus New Zealand’s largest and most extensive coach network is InterCity Coachlines. InterCity offers a transport service, ferrying passengers from city to city, and also provides transport for scenic excursions. Discounts are available for students and backpackers. Rail New Zealand only has one railway network, TranzScenic. The company provides long distance journeys between cities through their TranzAlpine, TranzCoastal and Overlander train services. Ferry The InterIslander is the main carrier between the North and South Islands. Terminals are located at Wellington in the North and Picton in the South Island. The InterIslander takes passengers as well as cars and motorcycles, and the journey takes about three hours. Discounts are available for students. Visitors to New Zealand may drive for up to twelve months if they possess a current driver’s licence in their home country, or an International Driving Permit. An International Driving Permit is a UN sanctioned document that permits tourists to drive in another country without further tests or applications, provided their driver’s license is valid. An IDP is available in nine languages and is recognised in over 150 countries. Your country’s official automotive association should be able to help you with obtaining an International Driving Permit. Travellers with an IDP or foreign driver’s license may only drive the same class of vehicle that they are permitted to drive in their home country. After twelve months, you may be required to take a practical and/or written driving exam. New Zealanders drive on the left side of the road, and give way to traffic on their right side. All speed limit signs are in kilometres per hour. The open road speed limit is 100 kilometres per hour. Visitors must follow New Zealand road rules at all times. Driving while drunk is illegal in New Zealand and offenders risk losing their license, or even jail time. Drivers must always carry their license with them. 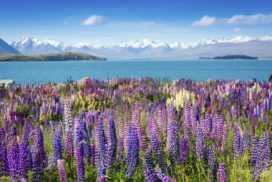 Types of Tours in New Zealand New Zealand has an unusual array of tours and sightseeing truly unique to this island nation. The format is also extremely diverse with any choice of the traveler indulged in to their hearts content from the totally managed and catered for packaged tours via bus to the more venturesome independent road tours or backpacker and hiking tours. What sets New Zealand apart from tours in other countries is the actual type of experience to be had and their amazing diversity all within a relatively short distance. Glow- worm caves at Waitomo are an example where the visitors are conducted through caves in boat tours and the ceilings are all lit up with the hanging glow of the worms lure. Incredible, sulphurous bubbling mud pools and gushing geysers at Rotorua amaze visitors at how dynamic the earth is. World class volcanoes many snow capped among dramatic surrounding lush bushy scenery abound in the North Island such as mounts Taranaki, Ngauruhoe, Tongariro and Ruapehu to name a small sampling of an extensive range. Indeed New Zealand's North Island alone is believed to contain more active and dormant volcanoes per square mile than any other country on earth. Almost unbelievably beautiful pristine 'land that time forgot' lakes and rivers abound through out New Zealand's North and South Islands. The Southern Alps that soar sharply like cloud ramparts along the entire west coast are arguably New Zealand's greatest sightseeing thrill. Their grandeur is spectacular even compared to Europe's Alps – but there is a difference. New Zealand has two distinguishing aspects unknown to all the rest of the world: its temperate climate make all sights more accessible in winter than Europe or North America plus one more surprise. This is a land where very few people live ( the entire population is smaller than the city of Los Angeles, Ca.) and so you get spectacular scenery with nary a soul in sight nor hint of human existence. Sights to See in New Zealand There are many sights to see whilst in New Zealand, this country is full of culture, history and natural phenomenons. If your are looking for an insight into New Zealand history and culture, whether it be Maori culture or historic sights from the first European settlers. There are many places to visit such as: Cathedral Square in Christchurch is usually a starting point for alot of travellers, the square is placed right in front of New Zealands most famous cathedral 'Christ Church'. It had started construction in 1864 and completed in 1904. Designed by English Architect 'Sir George Gilbert Scott'. Nevis Valley in central Otago, is a country valley where in 1862 there where the first reports of gold being found, it wasn't untill years later that anyone realised there was a fortune to be made in this valley starting off the Nevis Valley Gold Rush. The valley still stands today, with historic landmarks still in place including the old cemetery. This is a beautiful spot aswell and is easily accessible during the warmer months by 4 wheel drive or mountain bikes. Captain Cook's landing sight and young Nick's Head, located in Gisborne in the Eastland Region. This Historic Reserves marks the spot where Captain Cook first hit New Zealand soil in 1769. 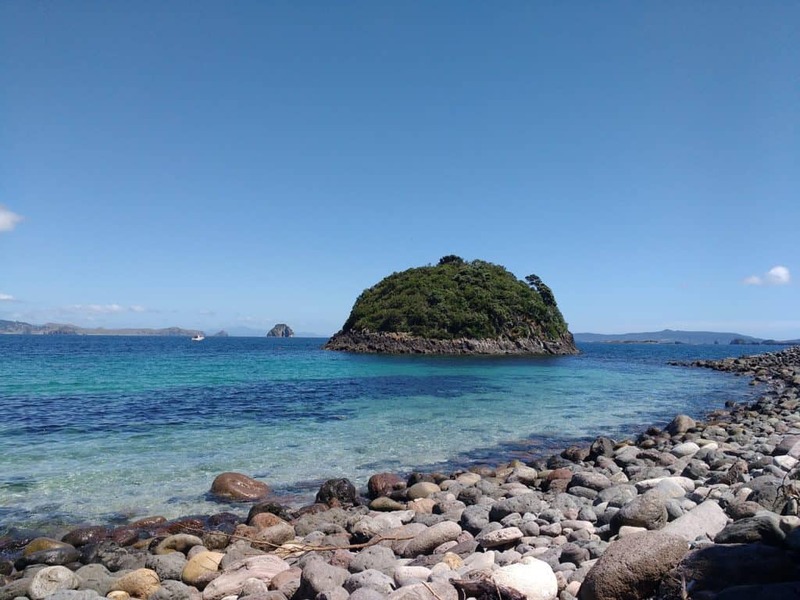 As for young Nick's Head, this is the headland which a young surgeons boy named Nicholas Young first spotted New Zealand, Captain Cook later named this head land as Young Nick's Head. Aswell as the never ending list of Natural Sights such as Mount Eden and One Tree Hill in Auckland, Mine Bay in Taupo, Katikati, Moeraki in Otago Coast, Pancake rocks at Punakiaki, Mount Iron is Wanaka, Mount Hikuragi in East Cape, Mount Victoria in Wellington, Port Hills in Christ Church and Flagstaff Hill in Dunedin. With many more places to see what a great time to start exploring the magical land of New Zealand. 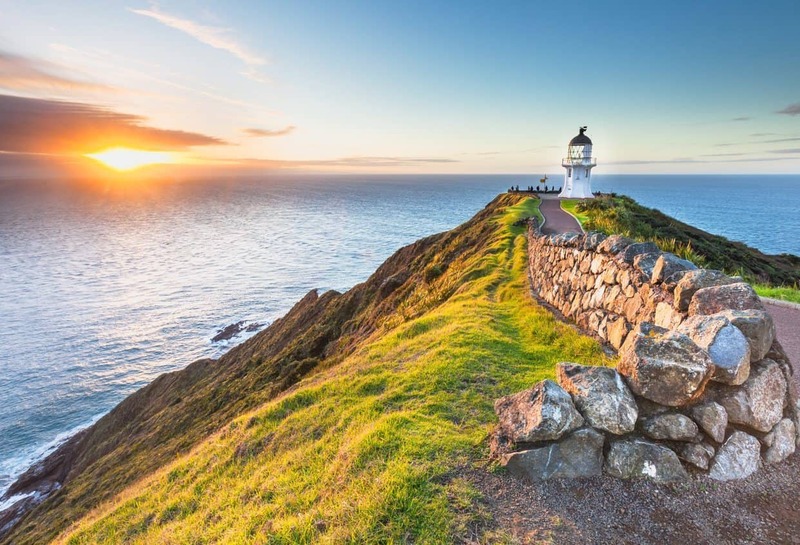 Click here to read more... NZ visitor arrivals up by 2.1% from March In a stunning turnaround, the New Zealand tourist sector has recorded a 2.1% increase from the March quarter. This important sector makes up roughly 10% of New Zealand's now booming economy. This rise was mainly recorded in short-term arrivals to New Zealand. The April quarter also saw new permanent arrivals to New Zealand exceed departures from New Zealand. This news will boost the consumer spending sector which roughly makes up 60% of the country's economy. New Zealand is often termed as a traveller’s paradise because of its pristine natural beauty, rare flora and fauna, and adventure playground that is suitable for bungy jumping, trekking, hiking, and more. Travellers from all parts of the world visit the country for the untouched beauty. Some surf in the sea, enjoy the beaches, go for rafting in the gushing waters, or ski in the snow-covered mountains. However, you need not spend a fortune to visit this country. There are options for getting a working holiday. You may end up staying for free or getting complimentary meals as well. Some work as fruit pickers or packaging helpers in orchard farms in Napier while few work in the dairy farms in Hamilton. At a busy Auckland or Christchurch city, foreigners work as Au Pairs or sitters. You can also take up jobs in the hospitality sector. Some travellers are writers or photographers. New Zealand provides immense scope to write travel stories and travel guide. Photojournalists take assignments, while bushwalking, hiking, yachting, or visiting interiors in the country. Maori culture and their habitat are quite resourceful for historians and anthropologists. Many travel to these areas to pick some unique pieces of artwork or data. Students too, travel during study tours. Students from English language schools often go for trekking or camping as a part of their mission to learn communication skills. Students who want to travel for leisure can avail discounted tickets. There are affordable student hostels as well for backpackers. Campervans are also quite popular among budget travellers. Make sure you pack well for your tour. Prior knowledge about weather, transport facilities, expenses, and accommodation is a must. We help you by giving you suitable tips while travelling in the country. It is often expensive to holiday in New Zealand with family and friends for a week or more at a plush resort. However, experienced travelers look for hotel deals and rebates during certain time of the year or check in early to bag a budget tour to the country. Consider this: A 4-star rated plush hotel at the heart of the city in Auckland offers guests a deal of 11 nights where 1 night is for free. At another popular spot in Coromandel, the Holiday Park offers a discount of 40 percent during the dry months. Hotel deals like this are offered regularly by posh hotels, moderately priced inns, or even sumptuous resorts. Prudent travelers too, check for these packages and grab them no sooner they are displayed by the hotel. During school holidays, people enjoy a comfy tour with their entire brood – at a cost that does not pinch their pockets. A fully booked resort or hotel would gain lucrative profits even though discounts and free-stays are offered. Whether you are on a family trip or planning to wed at plush beach-side resort, you can still curb your expenses if you get the right hotel deal. Here is a quick look at what to check online from time to time to clinch a profitable travel package for yourself and your family. Before hunting for the apt deal for holidaying at New Zealand, you must decide on the location, number of days, number of people in the group, and budget of the trip. An overall idea would help you to locate the right hotel. 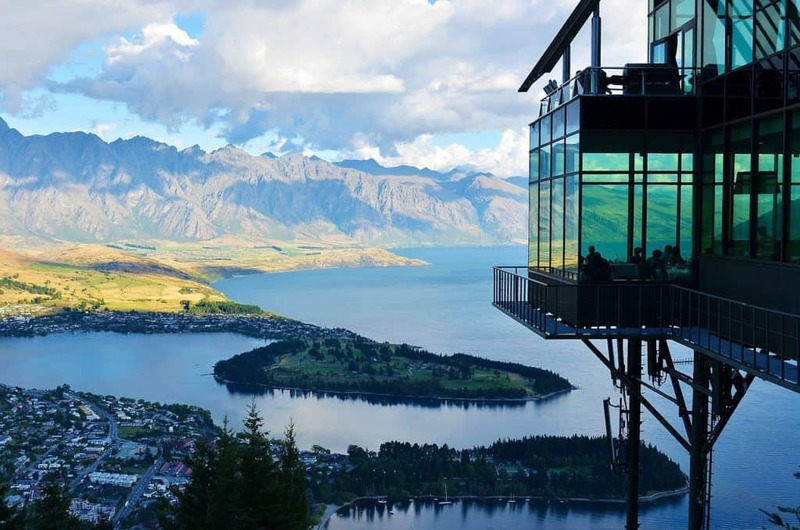 For instance, a fortnight’s trip to various parks, forests, and farmlands in Queenstown would get a discount of 1000 Dollars if booked just before the trip starts. While many may be too late for the trip, lucky ones would not only bag the trip but also avail useful discounts. Such last-minute deals are quite popular in plush boutique hotels at a remote idyllic place in New Zealand. At Edgewater Hotel and Alpine Resort, travelers can avail 2-days of complimentary vacation if booked at a particular time of the year. Planning a trip from start to finish would help tourists to decide which appropriate deal they would go for. Once the trip is planned, it is easy to hunt for off-season discounts or avail early-bird rebates. Jade Cottage for instance, provides 50 percent discount for a couple of days’ sojourn at the river-side cottage. If you are looking for a Keri-Keri party at this resort or wed your sweetheart at a private ceremony, you can choose such deals as the price would be slashed by half. At Maple Lodge, you can avail an early-bird discount if you book early. One-night would be gifted for free to the guests for checking in early. Some travelers combine early-bird discounts with off-season rebates as well. Ski resorts offer such discounts. Queenstown Land Ski and Board and Backcountry Skiing at Lake Tekapo offer special rebates during off-season. Cancellation charges and surcharges are also omitted as well. Travelers often browse the travel sites on the net to check for deals and packages. Once, they’ve decided on a deal, they purchase the same online. Vouchers are generally provided to the buyers by the travel site, which acts as a liaison between the traveler and the said hotel. When the traveler reaches the hotel, he just needs to furnish the voucher to avail the deal. It is also profitable at times to book from a particular online travel website. The site offers an additional discount, lucrative flight ticket deals, and useful information about the hotel. The hotel deal done through the site is also hassle-free. Famous for magnificent scenery and entertainment, New Zealand has equally superb resorts to enable tourists enjoy a holiday at a modest budget – if however, they pick the right hotel deals and profitable packages. New Zealand is THE destination for international students studying in New Zealand and tourists alike. The country offers access to pristine and beautiful landscapes that are suitable for outdoor activities. New Zealand society is also very multicultural and inviting visitors planning a New Zealand tour. The locals: Kiwis are born to travel and they welcome travellers from across the globe. Landscape: New Zealand is a small island nation by western standards and is not overcrowded. Culture: New Zealand is an inviting mixing pot of cultures that live in harmony. Adventure: New Zealand is a country for thrill seekers who like to explore the great outdoor environment that the country has to offer. For information about planning your Kiwi holiday, please check out New Zealand tour guide and visit the www.purenz.com. Travelers can dream of a comfy New Zealand tour as the country is well serviced by an efficient public transport system and network. You can book flights to New Zealand on the Internet or over the phone and collect the ticket at the airport. Strict security regulations are in force. All electrical appliances must be switched off during the flight. Check with the New Zealand tour guide your local New Zealand travel agent about special local travel deals and packages and always book in advance to make the most of the special offer. My name is Tiphanie Feunteun I am a 23 year old woman from Brittany, one of the most charming regions of France. Between sea and granite coast, old medieval towns amidst modern architecture and not to mention the nice food and lovely old stone houses. I advise you to go and check it out there if like me you like to travel around the world. Since I was very young I have always loved taking pictures to immortalise some of the lovely wildlife moments, or sit on the beach and get my sunset memories on my camera. I have been to Spain, Italy, England, Italy and Thailand,... and enjoy taking pictures of all the different cultures and life styles. But my favorite place ever is the south Island of Aotearoa (New-Zealand) where I was under a working holiday visa for 1 year. It was my first big overseas experience on my own and I have seen so much and am so impressed with the beauty and majestic scenery of this country that I would like to share it with you. I advise you to go and check it out because this is an amazing country where you never stop to be suprised. First step of my travel: My job as a snail hunter 🙂 I had the pleasure to work for an environmental company, I had the mission to look for a giant rare snail Powelliphanta patrickensis on the top of a mountain, under the stars at 2am in the morning and mostly under the rain. It was a very original job and back in france all my friends laughed at me of course. But I really enjoyed it, it was an adventure for me to walk to the plot close to the cliff, I challenged myself and get fitter and fitter. I had a very good time with the crew, we laughed and had lots of unforgetable moments. Then if like me you want to try and experiment this travel, find the right visa, and come here to enjoy the nature, wildlife and peaceful lifestyle. Public transport services are not as extensive as some other countries but they are very efficient. Secondary school students are eligible for a discount on bus travel. Some educational institutions have shuttle bus services for their students. Cyclists must obey the road rules at all times and ride on the left hand side of the road and not on the footpath. They must also have a good quality bike for travel. Motorcyclists must at least be 15 years old, have a licence and wear helmets. International students studying in New Zealand may be allowed to drive if they have a valid international driver's licence for up to a year but after that they may have to satisfy New Zealand's driving requirements. Vehicles drive on the left hand side of the road and it is mandatory for all vehicles to be fit for driving. All car drivers must insure their vehicle. Licensed drivers must pay a large bond if they do not have a credit card. For more information about New Zealand travel transport and safety, please contact us!